Ken and Richelle met in the same school in Osaka, Japan, which is Ken’s home town. (Richelle is from San Diego, CA) At the time Ken had two rescued cats (Mi Two and Madara) and Richelle decided to adopt another one (Mao, he was one day away from being euthanized) after they got married. They took their three cats to every country they lived, Kuwait, the US, Mexico and China. They not only bought their own cats but also rescued, fostered and found homes for many others in the countries they lived. In Shanghai. 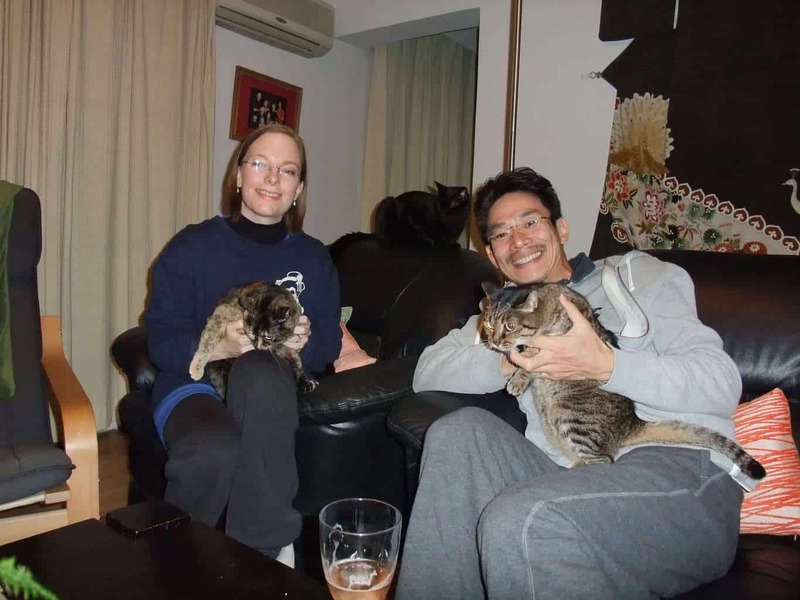 Ken joined the animal rescue group, Bow Meow Shanghai, and attended many adoption events, organised two of his own adoption events at the school where he worked, and found homes for many rescued cats and dogs. Faced with the need to stop teaching PE due to physical limitations, Ken hit upon the idea of opening a cat cafe in New Zealand. While in Shanghai working with rescue groups, it became clear that the main difficulty in getting animals adopted was giving people chances to get to know them. A cat adoption cafe seemed a perfect way for people to meet a cat in a homey setting to see if it is the one to bring home. After a successful crowdfunding campaign and miraculously opening on time, Ken and Richelle are finding out what it means to have a dream come true. Now, most of the adoptable cats have prospective families lined up waiting for their cat to become available as new cats come in to replace them. 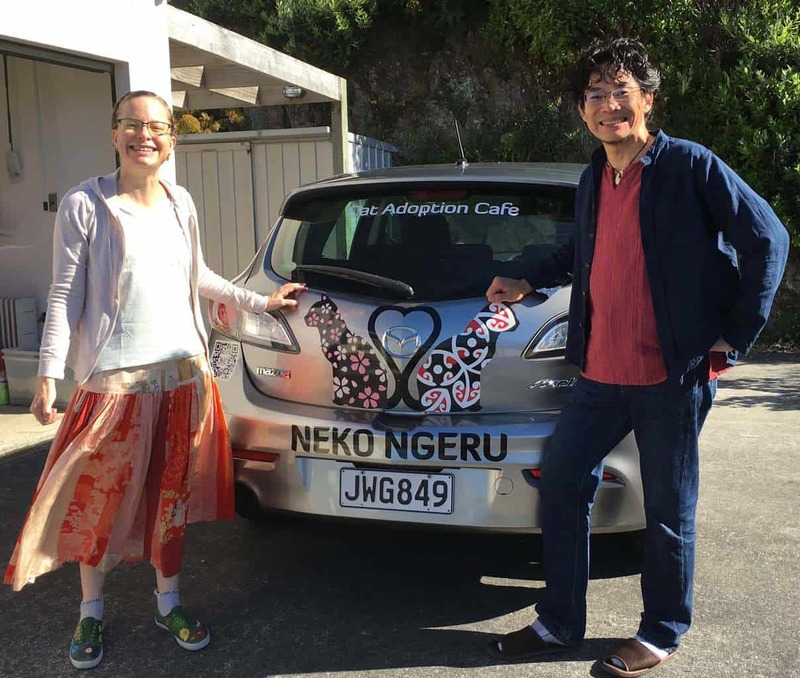 You can help by visiting the cafe and telling your friends about Neko Ngeru.